Stubborn corks are a thing of the past! Now you can open a bottle as easily as pressing a button. 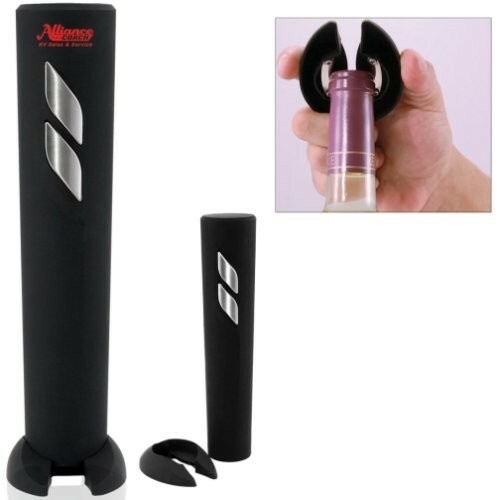 Our electric wine opener will extract the cork and release it from the cork screw with push-button ease. It is made with a rubberized comfort grip and has a built-in foil cutter at its base. Operates on 4 AA batteries (not included).